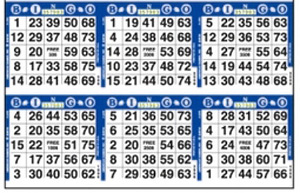 A single bingo card, 2 faces is 2 cards, etc. 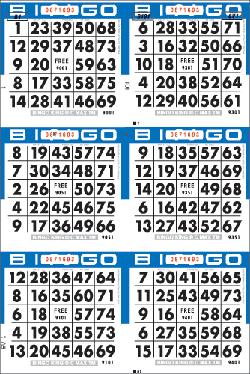 The number of bingo faced per sheet. A 3-on has three faces per sheet, a 6-on sheet has 6 faces per sheet, etc. 3-on Horizontal cut – has three faces arranged side-by-side.